At a time when the UK is battling against an obesity epidemic, (with two-thirds of men and women classed as being overweight, the sportswear market is booming. Compared to 2010 when the UK sportswear market was worth £4.62bn, last year this number grew substantially to reach £5.91bn, as British consumers go crazy for brands incorporating fashion, fitness and wearable tech. Looking ahead to 2019, a report from Key Note expects sportswear sales to hit £8.65bn if current rates continue. Key Note points to the increasing diversity of sports classes and fashionable, tech-focused sportswear as a reason for the particular spike in women’s contribution to this trend. With countless Instagram accounts dedicated to hashtags focused around #strongnotskinny, #cleaneating and #fitspo, millennial women are more exposed to and obsessed with celebrities leading this aspirational lifestyle. This demographic strive to be like them, hitting the gym and watching what they eat. At Competitor Monitor we urge sports/fashion brands to sit up and take into account this rapidly growing market and expand their ranges for women. 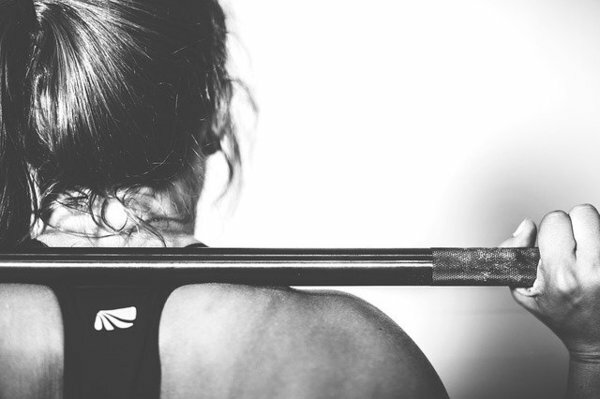 Female-only fitness wear brands such as Sweaty Betty are popping up everywhere, so it is worthwhile to consider how prices of items differ between competitors and identify where there could be a gap. It’s not just the products, but also about how the female fitness and sportswear trends are marketed. Nike, Puma and Reebok are pioneering the way in terms of promoting a girl-friendly focus, with Reebok aiming to smash the 30% of women who are targeted by major sports brands. Thanks to Ralph Lauren debuting a smart shirt for athletes last year, featuring built-in sensors that track the wearer’s movement and heart-rate, Key Note predicts that smart fitness clothing to take off massively. Just as mobile phones and other gadgets are constantly developing, brands are pushing the boundaries when it comes to the capabilities of clothing. While Nike’s Nike+ is able to accrue vast amounts of consumer data, Adidas recently bought Runtastic for £154m, a sign that tuning into the connected runner is the way forward. So, with demand and availability of female-friendly and tech-heavy sportswear on the rise, at Competitor Monitor it’s our job to be monitoring this extremely lucrative market. Want to see what your competitors are doing in this area? Let us help you to stay ahead of the game and get in touch to see how we can help.